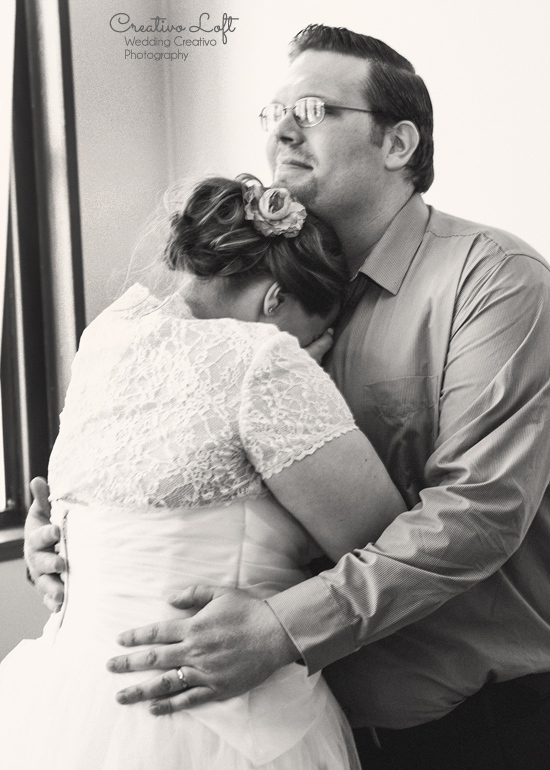 Congratulations to Abraham and Valerie! 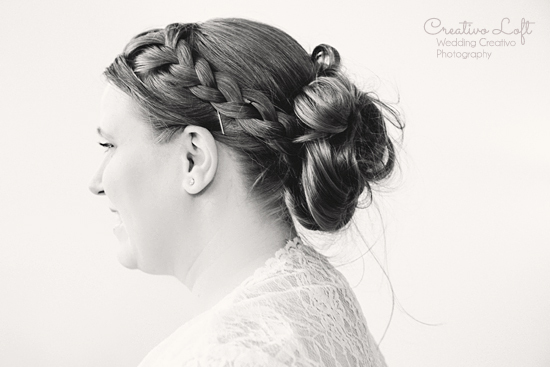 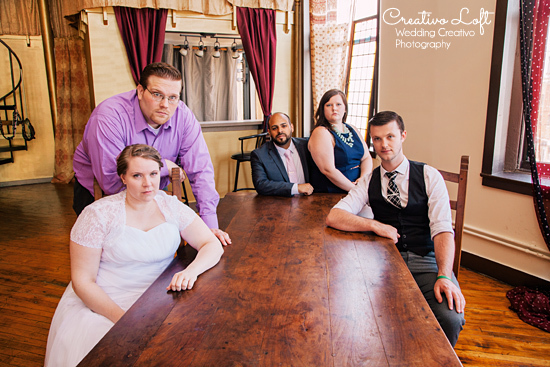 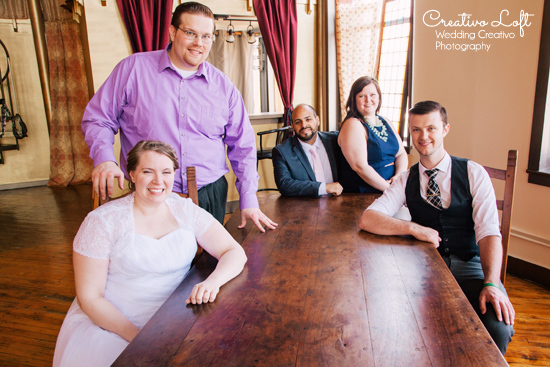 They had simply lovely Thursday afternoon elopement at Creativo Loft with a couple friends attending. 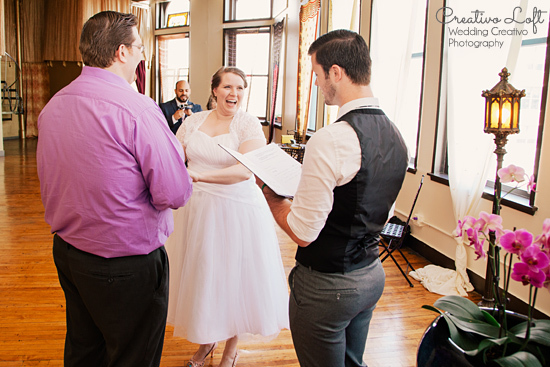 These newlyweds clearly had a fairy-tale romance, and after the ceremony they even had a little first dance to a song from the Walt Disney Cinderella movie, from the ballroom dancing scene..."So This is Love." 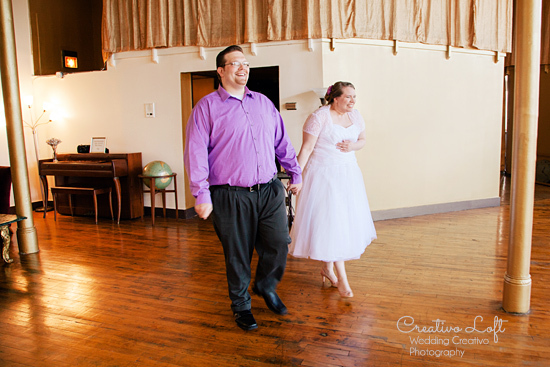 So, we were honored to have this real life princess and prince for having their marriage and sweet first dance at Creativo Loft!